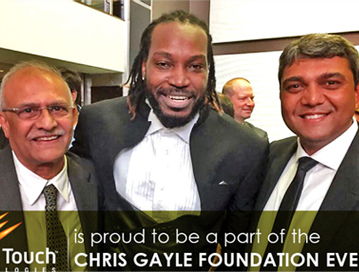 Silver Touch participated in the unique initiative taken by Cricketer Chris Gayle to support youth under the Chris Gayle Foundation Event. This initiatives of ours is helping and making good choices, understanding consequences of actions, setting achievable goals, working hard, looking after health and respecting young players. The principles of the ‘Big 6’ are applied to outreach work with young people, namely in areas of deprivation and disadvantage.